The time of Antichrist will be near when the measure of injustice will overflow and when wickedness has grown to immense proportions, when Christians love heresies and the unjust trample underfoot the servants of God. At the end of this age, the Antichrist will be born. 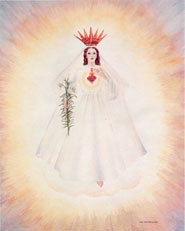 As Christ was born from the highest type of womanhood (Virgin), so Antichrist will be born from the lowest (prostitute). He will be a child-wonder at birth. His mother will be an accursed woman, who will pretend to be well informed about spiritual things, and his father an accursed man, from the seed of whom the Devil shall form his work. The time of this Antichrist, well known to Me, will come when iniquity and impiety shall above measure abound, when injustice shall have filled the measure to overflowing, and wickedness shall have grown to immeasurable proportions. In the year 1980 the wicked shall prevail; they will profane and sacreligiously defile the churches, by erecting in them altars to idols and to Antichrist, whom they will worship, and will attempt to force others to do the same. Rome will be visited by sword and fire and plowed under. This entry was posted in Prophecy and tagged Prophecy on April 10, 2018 by damselofthefaith. Prophecies of Marie Julie Jahenny. 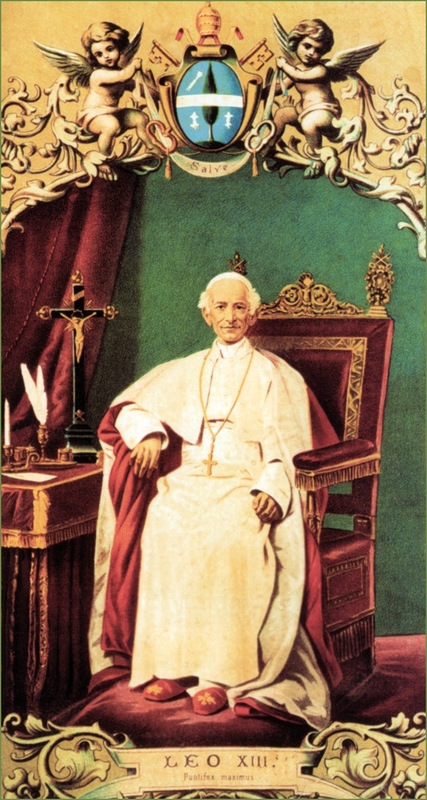 Many mystics have prophesied the coming of the Great Monarch and the Holy Pope, who will both restore the Church and world after this revolution. 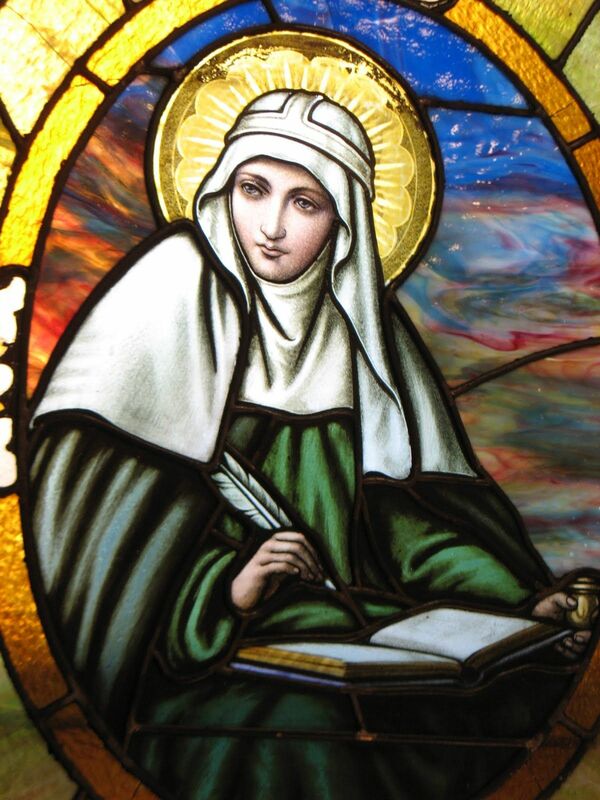 One such mystic, considered to be one of the greatest of all time, was the stigmatist, Marie Julie Jahenny of France. 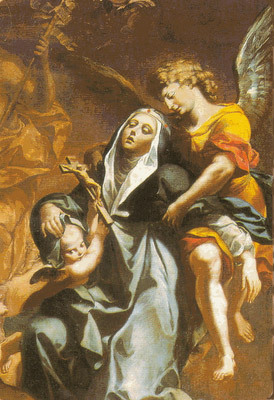 She was chosen by Heaven to spread the love of the Cross, to make sacrifices and suffer for the salvation of sinners, to prepare the world for the chastisements, to warn the Church of the current crisis afflicting her and to announce the coming of the Great Monarch and the Holy Pope, who would both restore the Church and Christendom. 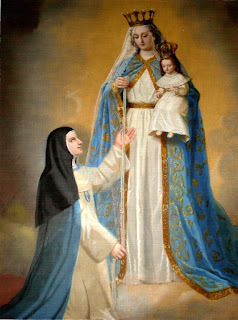 Monseigneur Fournier, the Bishop of Nantes, France declared all that happened to Marie-Julie was of a supernatural and divine origin. This entry was posted in Marie Julie Jahenny, Prophecy, Uncategorized and tagged Marie Julie Jahenny, Prophecy on November 14, 2016 by damselofthefaith. 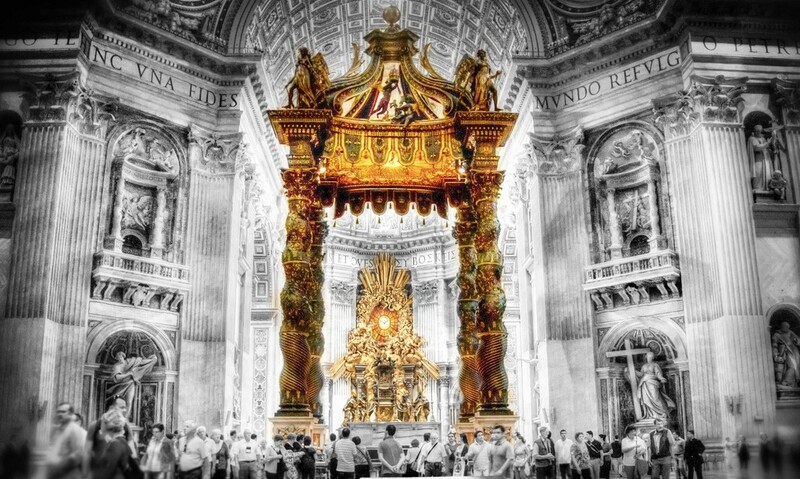 May Our Lord and Our Lady hasten the day of the restoration of the Church, ushered in by the Holy Pope, who will be flanked by the Great Monarch. This entry was posted in Church crisis, Marie Julie Jahenny, Prophecy and tagged Prophecy on January 25, 2015 by damselofthefaith. 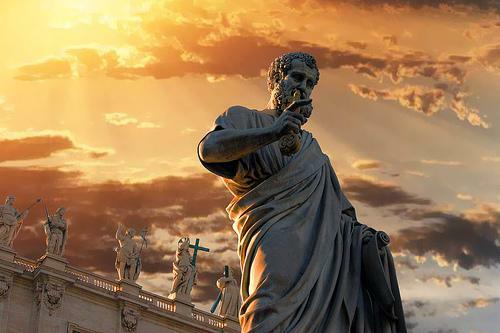 “Again I saw St. Peter’s with its lofty cupola on whose top stood Michael shining with light. He wore a blood-red robe, a great banner in his hand. A desperate struggle was going on below – green and blue combatants against white, and over the latter, who seemed to be worsted, appeared a fiery blood red sword. None knew they they fought. The church was all red like the angel, and I was told that it would be bathed in blood. The longer the combat lasted, the paler grew the color of the Church, the more transparent it became. Then the angel descended and approached the white troops. I saw him several times in front of them. Their courage was wonderfully aroused, they knew not why or how, and how the angel struck right and left among the enemy who fled in all directions. Then the fiery sword over the victorious whites disappeared. During the engagement the enemy’s troops kept constantly deserting to the other side; once they went in great numbers. Numbers of saints hovered in the air over the combatants, pointing out what was to be done, making signs with the hand, etc., all different, but impelled by one spirit. When the angel had descended, I beheld above him a great shining cross in the heavens. On it hung the Saviour from whose wounds shot brilliant rays over the whole earth. These glorious wounds were red like resplendent doorways, their center golden-yellow like the sun. He wore no crown of thorns, but from all the wounds of His head streamed rays. Those from His hands, feet, and side were fine as hair and shone with rainbow colors; sometimes they all united and fell upon villages, cities, and houses throughout the world. I saw them here and there, far and near, falling upon the dying, and the soul entering by the colored rays into the Saviour’s wounds. 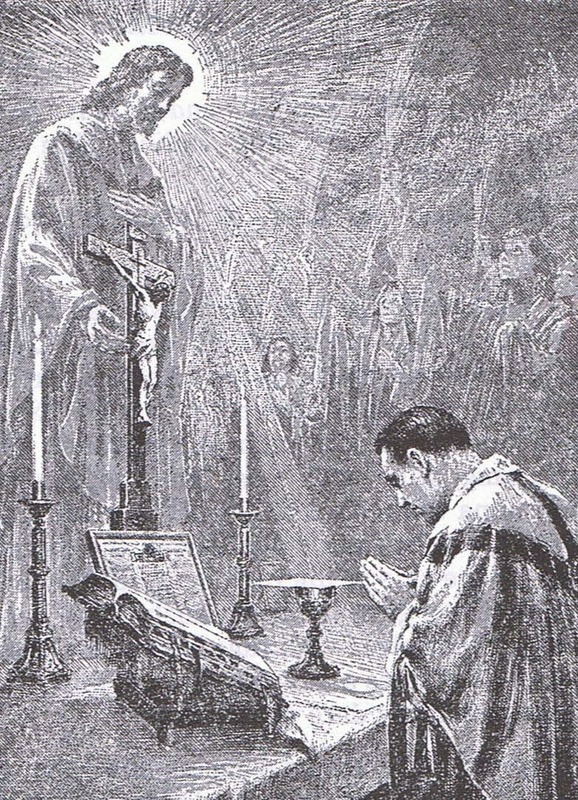 The rays from the side spread over the Church like a mighty current lighting up every part of it; and I saw that the greater number of souls enter into the Lord by these glittering streams. I saw also a shining red heart floating in the air. 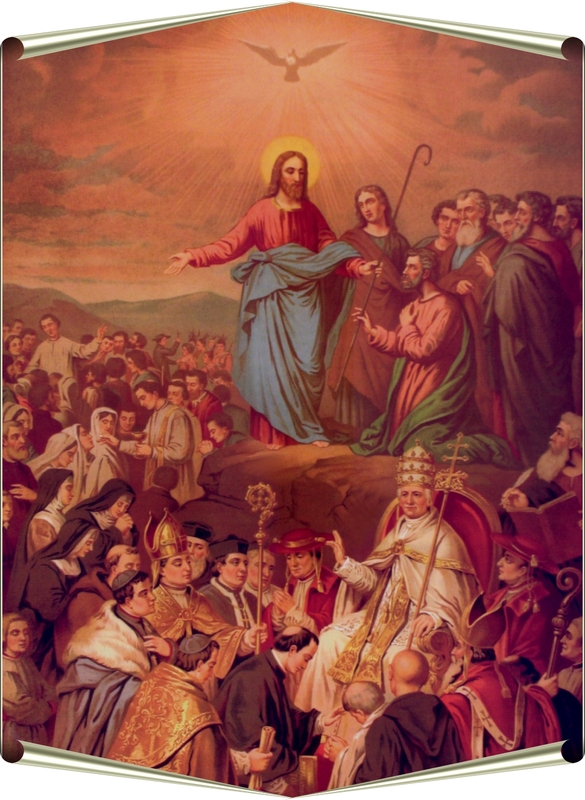 From one side flowed a current of white light to the Wound of the sacred side, and from the other a second current fell upon the Church in many regions; its rays attracted numerous souls who, by the Heart and the current of light, entered into the side of Jesus. I was told that this is the Heart of Mary. Besides these rays, I saw from all the wounds about thirty ladders let down to the earth, some of which, however, did not reach it. They were not all alike but narrow and broad, with large and small rounds, some standing alone, others together. Their color corresponded to the purification of the soul, first dark, then clearer, then gray, and, at last, brighter and brighter. I saw souls painfully climbing up. Some mounted quickly, as if helped from above, others pressed forward eagerly but slipped back upon the lower rounds, while others fell back entirely into the darkness. Their eager and painful efforts were quite pitiful. It seemed as if they who mounted easily as if helped by others, were in closer communication with the Church. I saw, too, many souls of those that fell on the battlefield taking the path leading into the body of the Lord. Behind the cross, far back in the sky, I saw multitudes of pictures representing the preparation begun ages ago for the work of Redemption. But I cannot describe it. 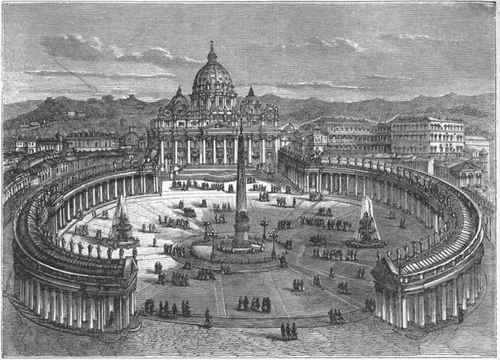 It looked like the stations of the way of Divine Grace from the Creation to the Redemption. I did not always stand in the same place. I moved around among the rays, I saw all. Ah, I saw inexpressible, indescribable things! When the combat on earth was over, the church and the angel became bright and shining, and the latter disappeared; the cross also vanished and in its place stood a tall, resplendent lady extending over it her mantle of golden rays. There was a reconciliation going on inside, and acts of humility were being made. I saw Bishops and pastors approaching one another and exchanging books. The various sects recognized the Church by her miraculous victory and the pure light of revelation they had seen beaming upon her… When I saw this reunion, I felt that the kingdom of God was near. I felt so sensibly the approach of the kingdom of God that I was forced to run to meet it crying tears of joy. 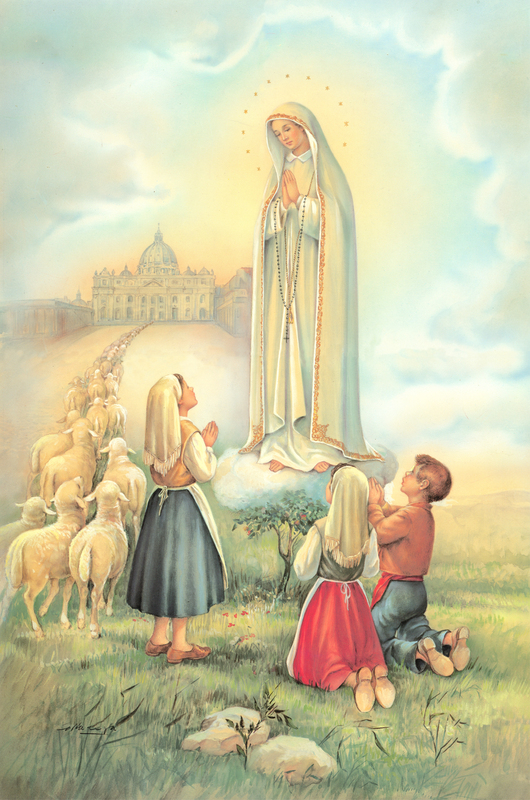 I had a vision of Mary in her ancestors. I saw their whole stock, but no flower on it as noble as she. I saw her come into this world. How, I cannot express, but in the same way as I always see the approach of the kingdom of God with which alone I can compare it. I saw it hastened by the desires of many humble, loving, faithful Christians. I saw on the earth many little luminous flocks of lambs with their shepherds, the servants of Him who, like a lamb, gave His Blood for us all. 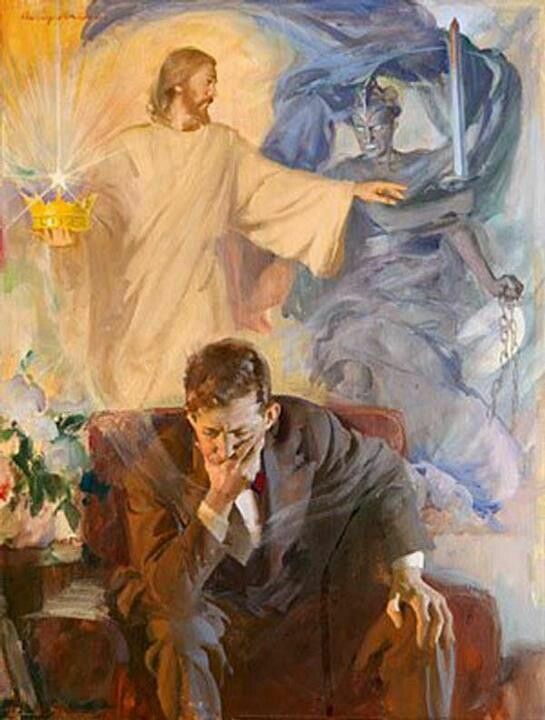 Among men reigned boundless love of God. I saw shepherds whom I knew, who were near me, but who little dreamed of all this, and I felt an intense desire to arouse them from their sleep. 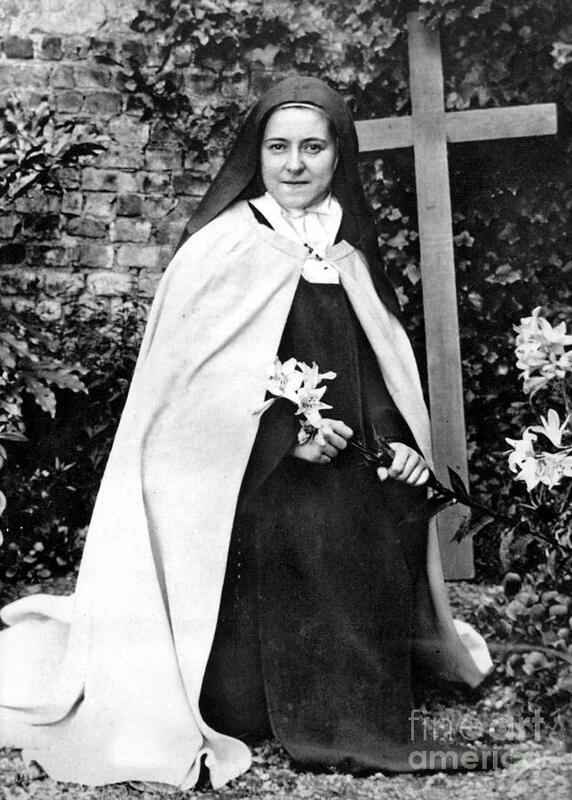 I rejoiced like a child that the Church is my mother, and I had a vision of my childhood when our schoolmaster used to say: ‘Whoever has not the Church for his mother, looks not upon God as his father!’ – Again I was a child, thinking as then, ‘The church is stone. How, then, can it be thy mother! 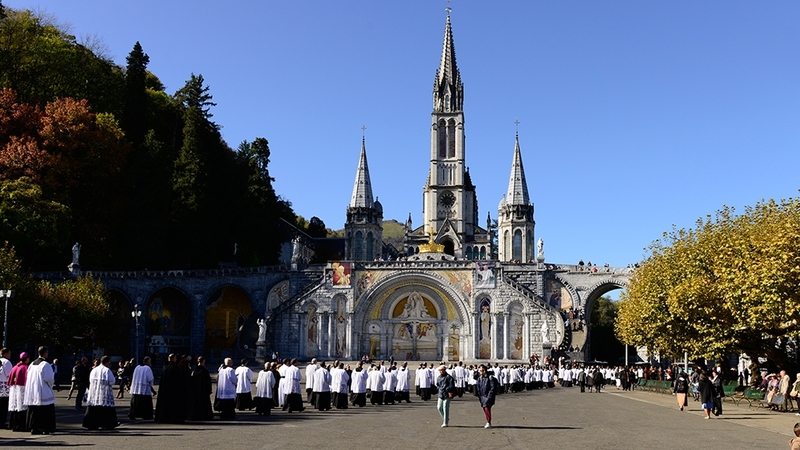 Yet, it is true, it is thy mother!’ – and so I thought that I went into my mother whenever I entered the church, and I cried out in my vision, ‘Yes, she is, indeed, thy mother!’ Now I suddenly saw the Church as a beautiful, majestic lady, and I complained to her that she allowed herself to be neglected and ill-treated by her servants. I begged her to give me her Son. She put the Child Jesus into my arms, and I talked to Him a long time. Then I had the sweet assurance that Mary is the Church; the Church, our mother; God, our father; and Jesus, our brother – and I was glad that when a child I had gone into the stone mother, into the church, and that, through God’s grace, I had thought: ‘I am going into my holy mother!’ Then I saw a great feast in St. Peter’s which, after the victorious battle, shone like the sun. I saw numerous processions entering it. I saw a new Pope, earnest and energetic. I saw before the feast began a great many bad Bishops and pastors expelled by him. I saw the holy Apostles taking a leading part in the celebration. I saw the petition: ‘Lord, thy kingdom come,’ being verified. It seemed as if I saw the heavenly gardens coming down from above, uniting with pure places on earth, and bathing all in original light. The enemies that had fled from the combat were not pursued; they dispersed of their own accord. 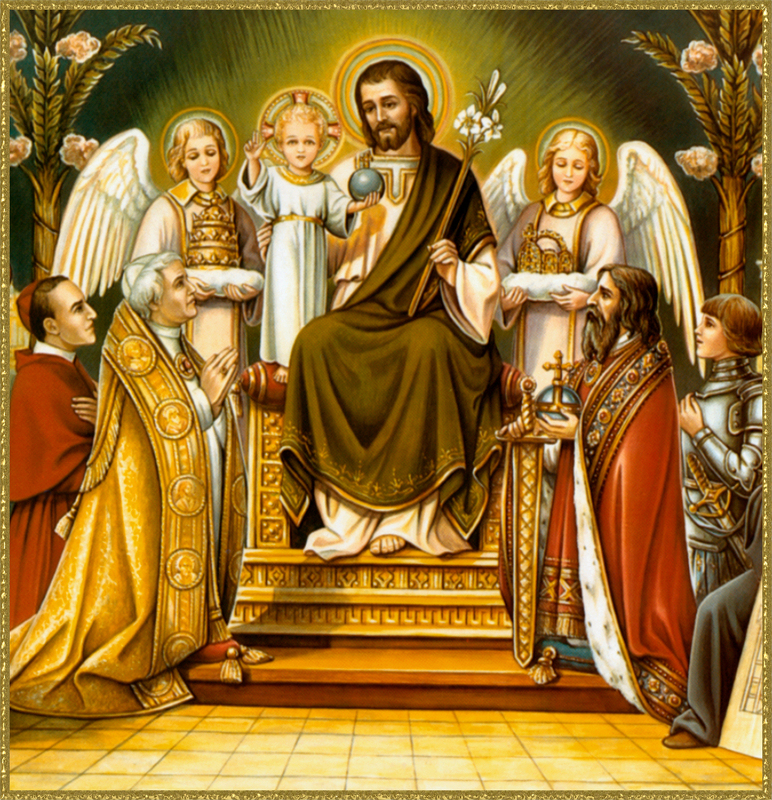 Long live the True Church of Jesus Christ, the One, Holy, Catholic and Apostolic Church! This entry was posted in Prophecy and tagged Bl. Anne Catherine Emmerich, Prophecy on November 10, 2014 by damselofthefaith. 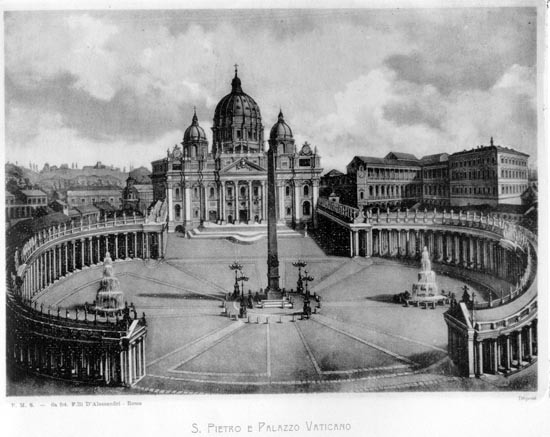 “I saw St. Peter’s. A great crowd of men were trying to pull it down while others were constantly trying to build it up again. Lines connected these men one with another and with others throughout the whole world. I was amazed at their perfect understanding. The demolishers, mostly apostates and members of the different sects, broke off whole pieces and worked according to rules and instructions. They wore white aprons bound with blue riband. In them were pockets and they had trowels stuck in their belts. The costumes of the others were various. They were among the demolishers distinguished men wearing uniforms and crosses. They did not work themselves, but they marked out on the wall with a trowel where and how it should be torn down. To my horror, I saw among them Catholic priests. Whenever the workmen did not know how to go on, they went to a certain one in their party. He had a large book, which seemed to contain the whole plan for the building and the way to destroy it. They marked out exactly with a trowel the parts to be attacked, and they soon came down. They worked quietly and confidently, but slyly, figuratively, and warily. I saw the Pope praying, surrounded by false friends who often did the very opposite to what he had ordered, and I saw a little black fellow (a laic) laboring actively against the Church. While it was thus being pulled down on one side, it was rebuilt on the other, but not very zealously. I saw many of the clergy whom I knew. 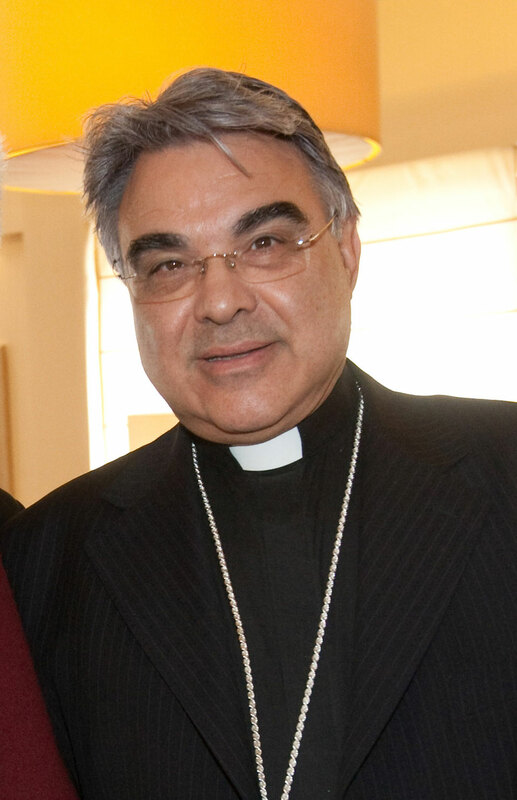 The Vicar-General gives me great joy. He went to and fro, coolly giving orders for the repairing of the injured parts. I saw my confessor dragging a huge stone by a roundabout way. I saw others carelessly saying their Breviary and, now and then, bringing a little stone under their cloak or giving it to another as something very rare. They seemed to have neither confidence, earnestness, or method. They hardly knew what was going on. It was lamentable! 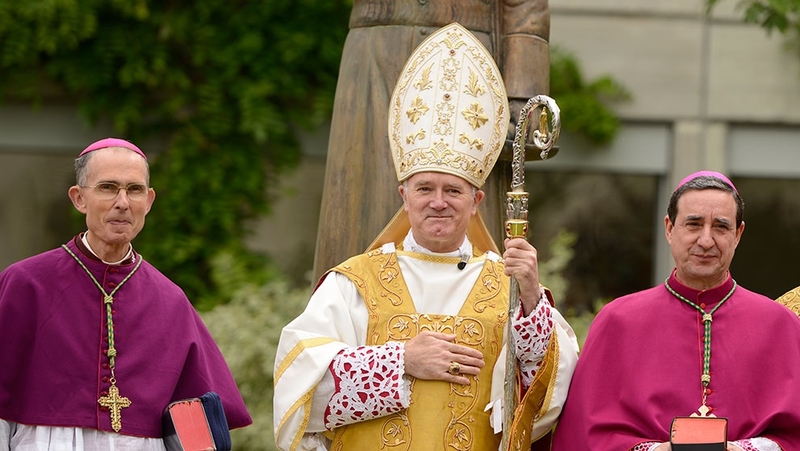 Here’s 2 Bishops tearing down the Church while the SSPX is trying to rebuild the Church. It is interesting that these Bishops consider the only “enemies” that the Church has are the SSPX. They are angry that we are not really “excommunicated” so they think they will take care of business by imposing an “excommunication” unjustly, with no reason whatsoever, other than pure hatred for the True Catholic Faith, plain and simple. They realize their time is short and so is their new religion. 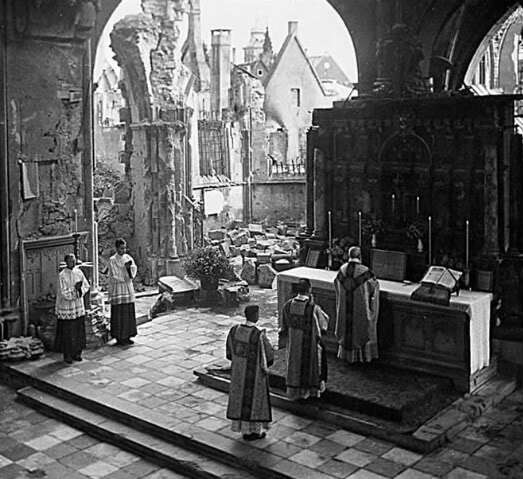 In the not too distant future, the True Church will be restored and the SSPX are and will be playing a great part in that restoration of the Church. 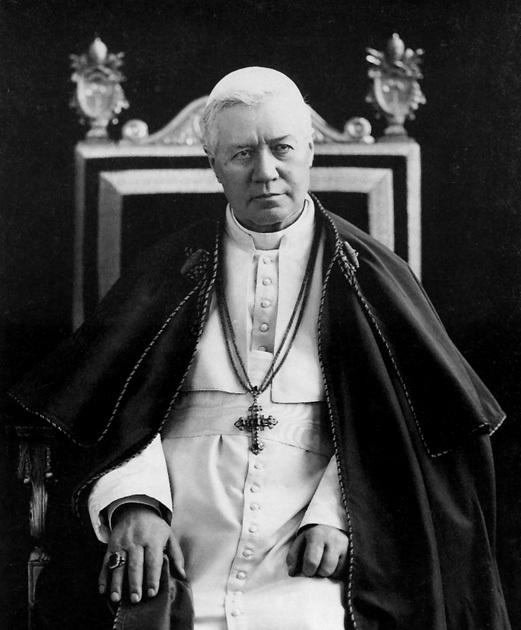 Thanks be to God for the Society of St. Pius X! 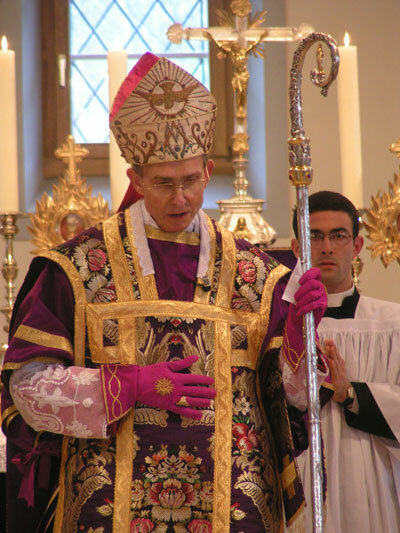 How is it that the SSPX has no “canonical status” in the Church when heretical Priests, Bishops and Cardinals are allowed to run rampant with no canonical censure whatsoever? Do they not realize the SSPX is of pontifical right and was canonically established? What these Bishops are saying is very grave. 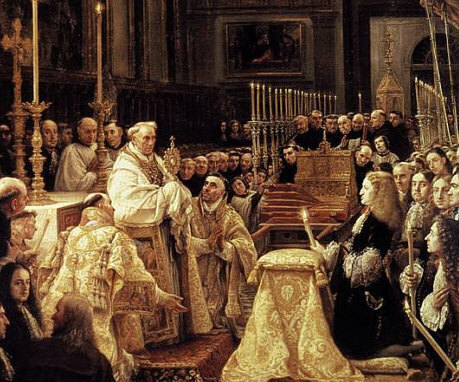 How can you be excommunicated from the Church for being Catholic? It just isn’t possible. 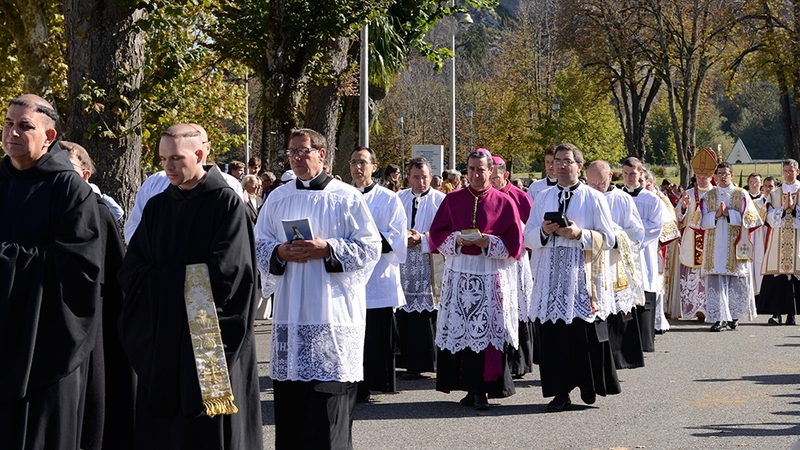 These Bishops tell us that the Society Priests do not have the faculties and, therefore, the jurisdiction, for the Sacraments of Penance and Matrimony. 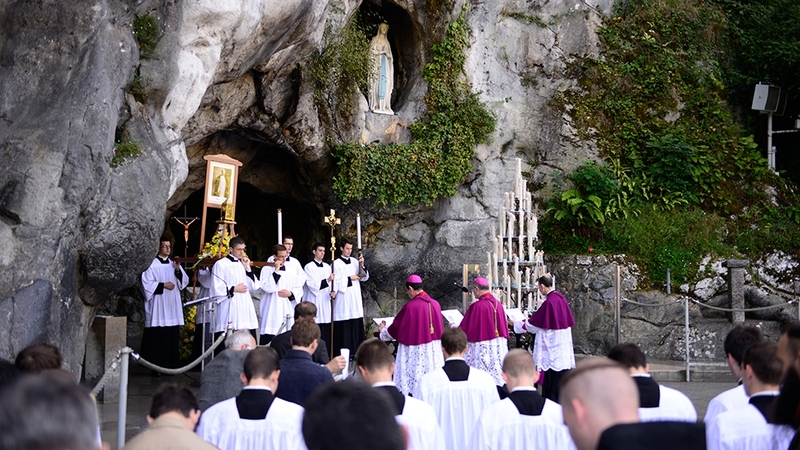 Therefore, the Church, wanting the ready availability of penance,extraordinarily supplies jurisdiction in view of the needs of her children, and it is granted all the more liberally the greater their need. This is a David and Goliath situation. 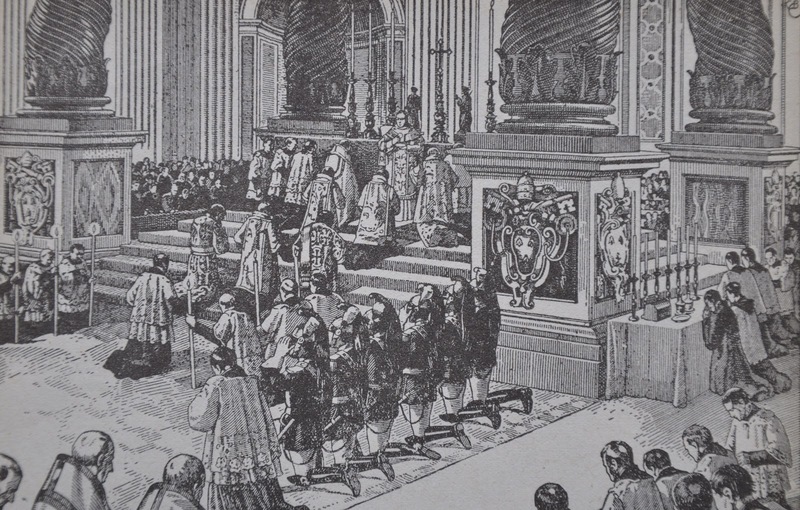 Freemasonry and the enemies of the Faith vs. the SSPX. Keep the Faith, Your Excellencies and Fathers. 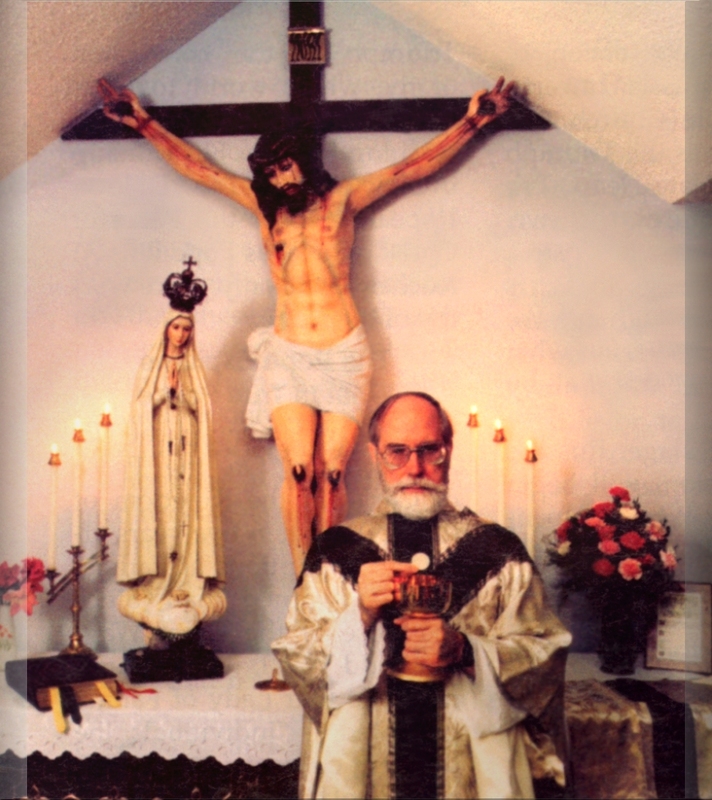 You fight for Our Lord and His Church, for truth, justice and the Catholic Faith of 2,000 years. Let nothing stop you, come hell, high waters or false excommunications. 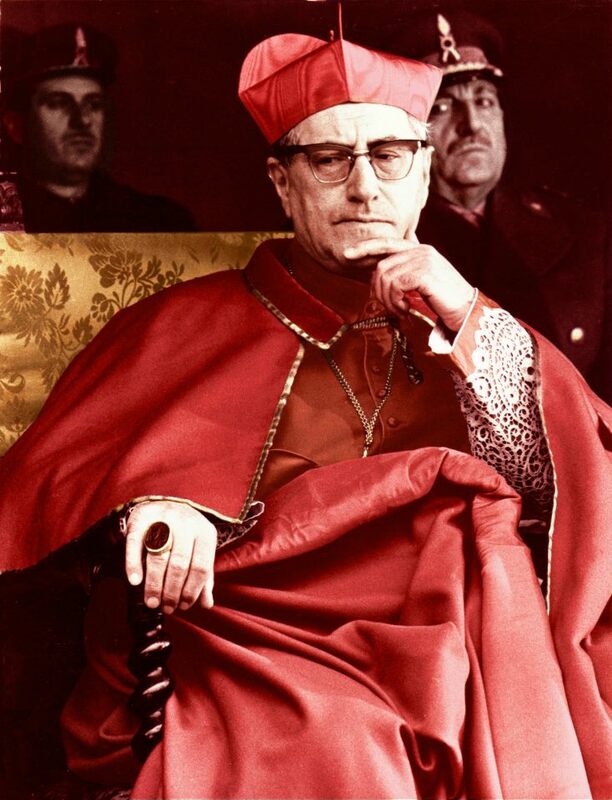 You will be remembered as those splendid warriors of the Church that fought until the last breath for the rights of God and His Church. 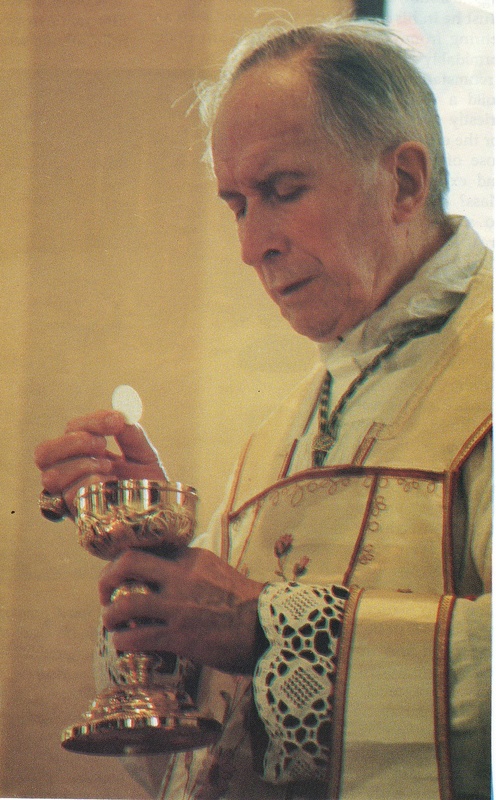 Generations to come will remember and thank the SSPX and one day, the Archbishop, Marcel Lefebvre, will be remembered and honored as the great hero, guardian and defender of the Catholic Church in the most unprecedented and catastrophic crisis in her history. 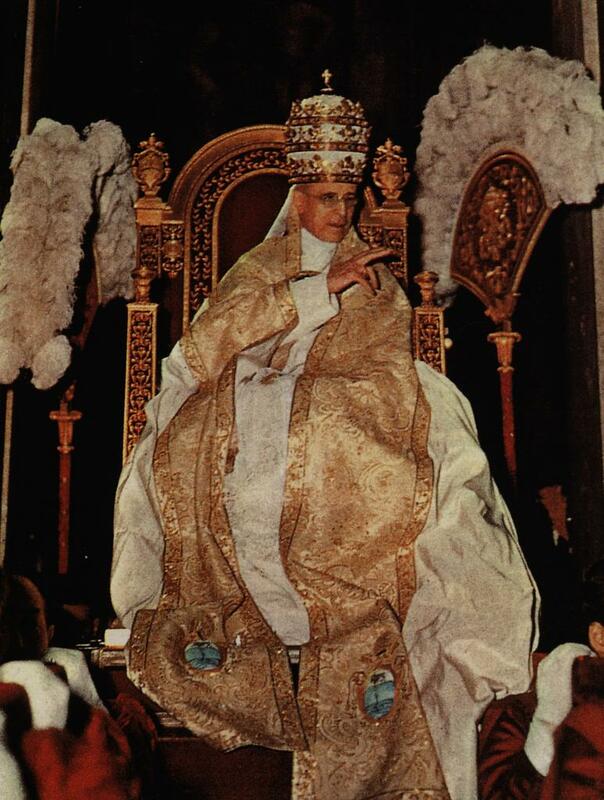 Don’t forget that the Angelic Pope, flanked by the Great Monarch, will one day anathamize this Revolution and we will worship God as we did in ancient days. 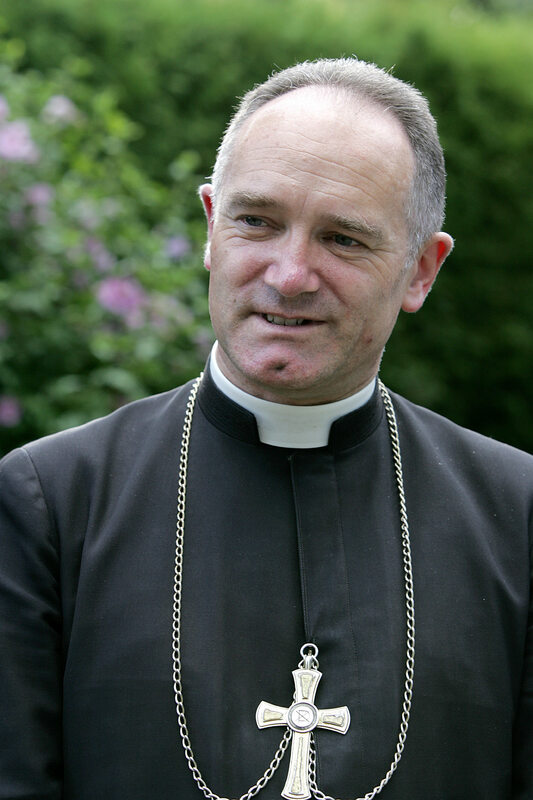 Then and only then will the Archbishop finally be vindicated and his detractors put to shame. This entry was posted in Prophecy, SSPX and tagged Bl. 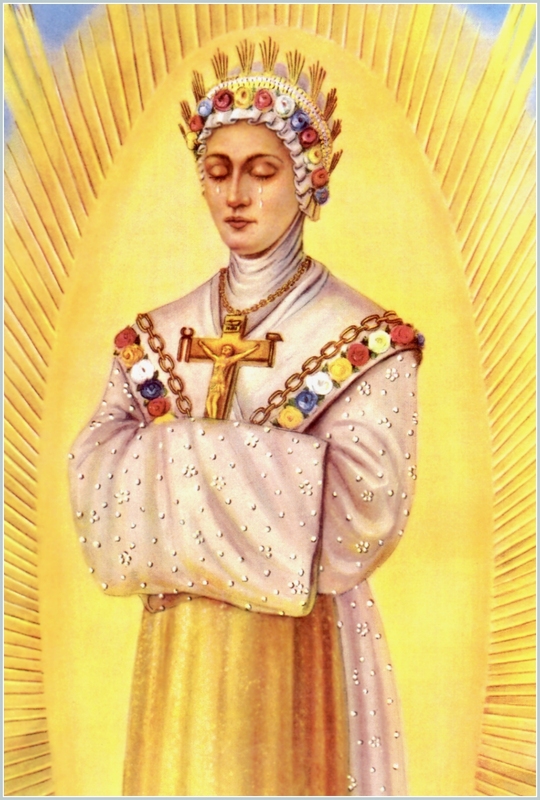 Anne Catherine Emmerich, Prophecy, SSPX on November 5, 2014 by damselofthefaith.